A friend of mine posted this the other day and I just had to share it here. (I'm from Minnesota, don't ya know!) 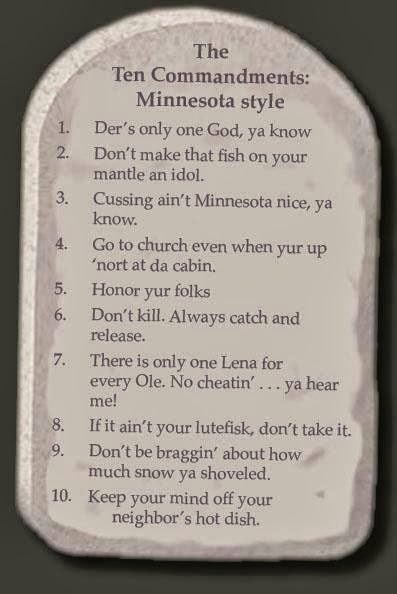 Here's how the Ten Commandments would have been written if they had been given to famed Minnesota storyteller Garrison Keillor. Enjoy, friends, and keep playing! If you liked this, give PlayFull a like on Facebook or Follow us on Twitter. Or go take a trip way up nort' and learn to relax why don't ya.